Disclosure: I received this product complimentary from Influenster for testing purposes. The opinions expressed in this post about this product are my own. Do you have a go-to comfort food? I do, it’s mac and cheese. Really any variety will do. Maybe it’s my Wisconsin upbringing, but I’m kind of a cheese hound. I’ve been known to open a box of mac and cheese and eat the whole thing from time to time. I was an Easy Mac fanatic in college, more than likely because it was cheap and easy to make at 2am. These days Little Lady and I cook up some kind of mac and cheese a couple days a week for lunch. The husband is not a fan so it’s strictly a lunch food around here. 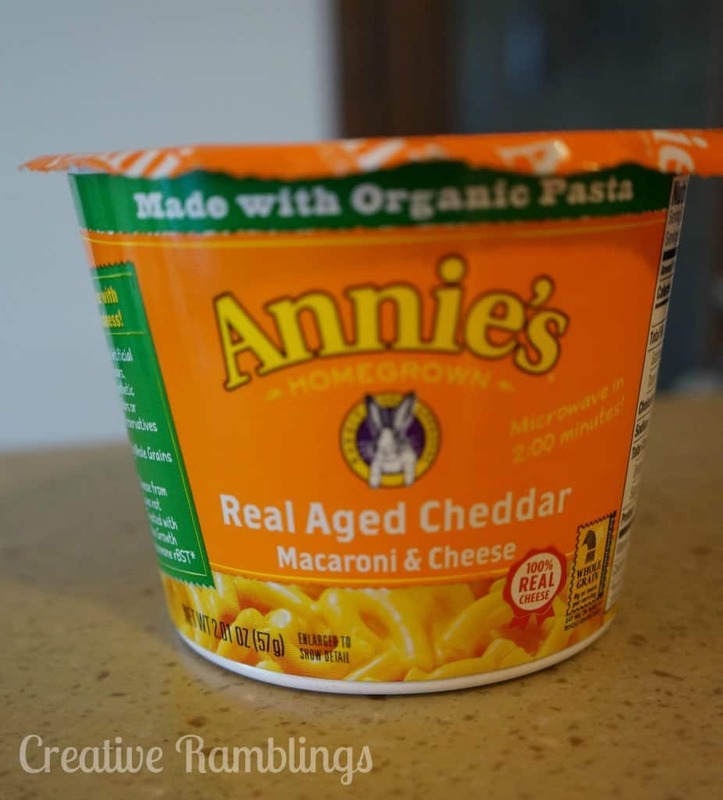 I am going to share with you a few of my favorite homemade mac and cheese recipes in just a moment but first I have to tell you a little about my #MamaVoxBox from Influenster that came in the mail this week. This is a box of awesome free Mama items that I get to try out and review. And to my delight the box included mac and cheese! So yesterday Little Lady and I had mac and cheese for lunch. I made her the single serving of Annie’s Mac and Cheese and I had some leftover noodles with shredded cheese 🙁 Yeah sad for Mommy, but she did let me steal a few bites. 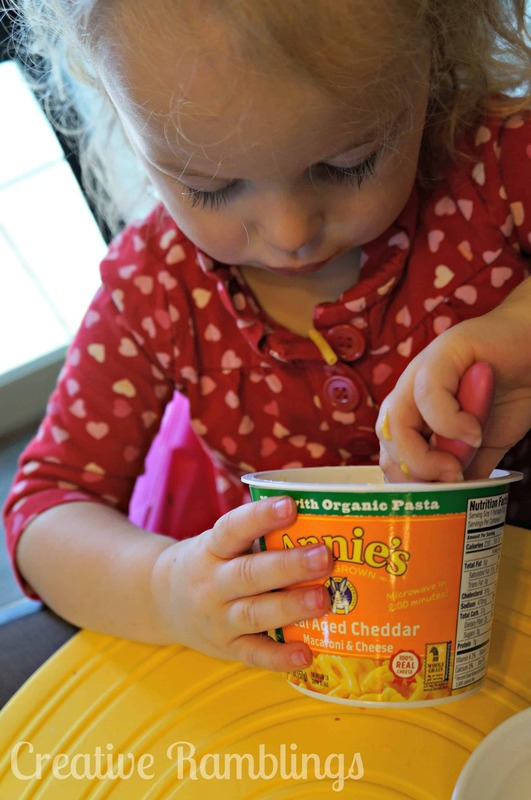 We are big fans of Annie’s products around here. The fruit snacks and cheddar bunnies are a staple and we’ve pretty much done away with any other brand of mac and cheese. These products are natural and use some organic ingredients. Most importantly, they taste better than their counterparts. We had not yet tried the single serve container so this was something new for us. Needless to say, Little Lady loved it. When I was making it it even looked stringy and cheesy like real mac and cheese. Delicious! 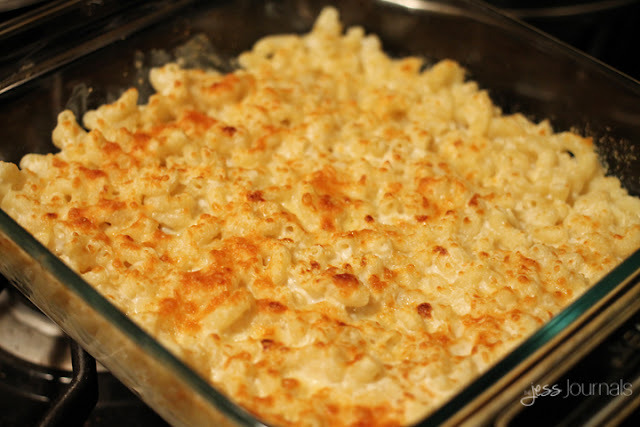 So now that that’s gone and on our grocery list for next week here are a few of my favorite homemade indulgent mac and cheese recipes….get ready to drool. 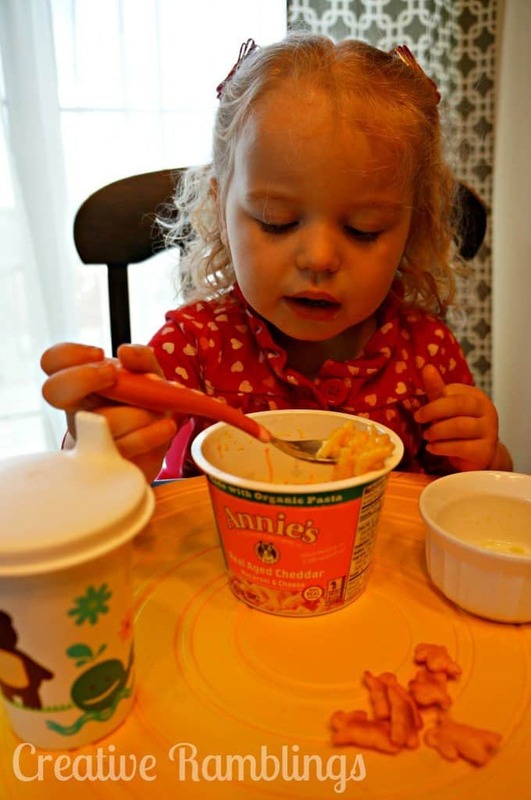 We are big cheddar fans in this house, so this White Cheddar Mac and Cheese is a hit. No baking, just melt and serve. You can find the recipe on Babble. This skinny version from The Jess Journals is baked and uses almond milk and cream cheese. This I have yet to try but sounds so intriguing. I bet it’s delicious. This is a new one I found yesterday from What’s Cooking Love. 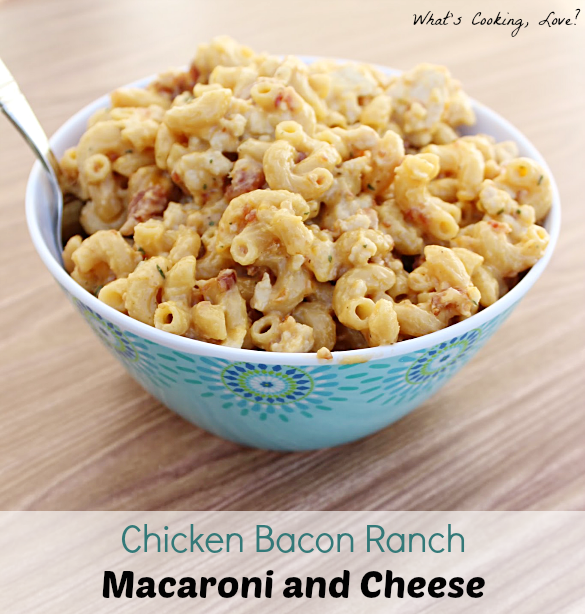 Chicken bacon and ranch….mixed with melted cheese and noodles!? Oh yes, this has to be divine. Are you a mac and cheese nut like me? Or is there another comfort food you depend on. Made me smile too Jill 🙂 THanks for reading. Oh that sounds yummy, I think I would feel healthy eating that too!